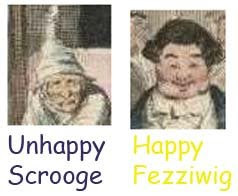 From Harvard Medical School and Charles Dickens comes the news flash: happiness begets happiness, and unhappiness begets unhappiness through social networks. Although it looked as if Fowler and Christakis were only iterated earlier work by Dickens, their data came from analyzing the massive Framingham heart study cohort. "People who are surrounded by many happy people and those who are central in the network are more likely to become happy in the future. Longitudinal statistical models suggest that clusters of happiness result from the spread of happiness and not just a tendency for people to associate with similar individuals. A friend who lives within a mile (about 1.6 km) and who becomes happy increases the probability that a person is happy by 25% (95% confidence interval 1% to 57%). Similar effects are seen in coresident spouses (8%, 0.2% to 16%), siblings who live within a mile (14%, 1% to 28%), and next door neighbours (34%, 7% to 70%). Effects are not seen between coworkers. The effect decays with time and with geographical separation." 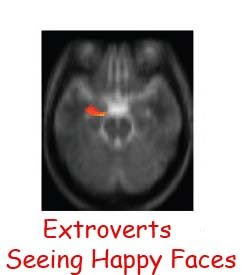 Happiness does seem to beget happiness in fMRI, but the effect is more pronounced for extroverts. So if you find the holiday rush and weather hassles getting you down, gather your loved ones around you a catch some Christmas cheer. Merry Christmas and Happy Holidays to everyone!